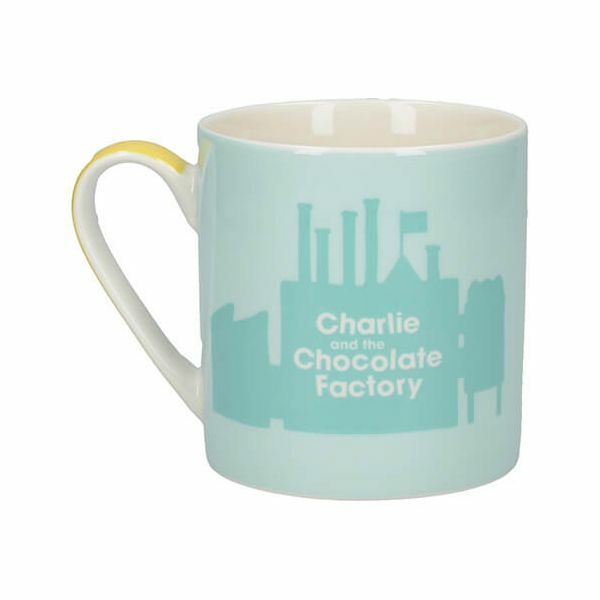 This pretty mug is ideal for serving tea and coffee and features Charlie and the Chocolate Factory where anything is possible. 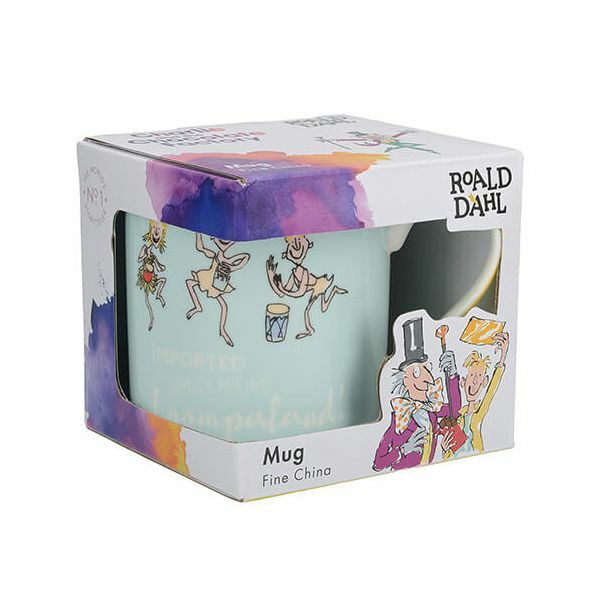 Made from fine bone china this illustrated story is based on a bubblegum blue background. 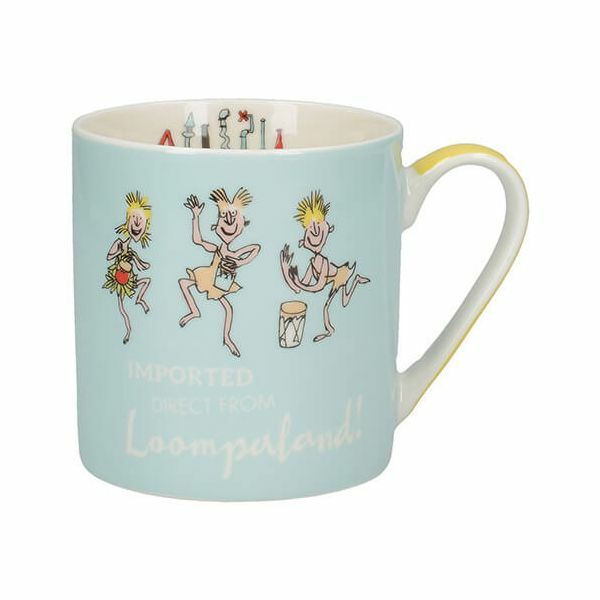 Illustrations appear inside and outside the mug including the oompa loompas dancing and singing with the words 'Imported Direct From Loompaland! '.